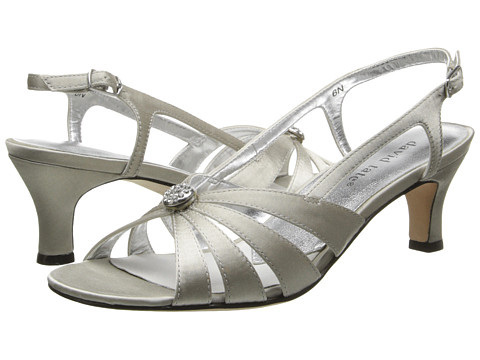 The 'Rosette' is a stylish evening sandal that will take you from a night out on the town to a formal event. Crafted from an elegant peau de soie fabric that has a satin finish. You will be dazzled with the jeweled rhinestone ornament that decorates the strappy vamp. Chic posted sling featuring a functional buckle that offers superior fitting. The insole is cushioned with soft foam for comfort. Steel shank construction adds strength and stability. Matching covered heel for a glamorous and comfortable look.